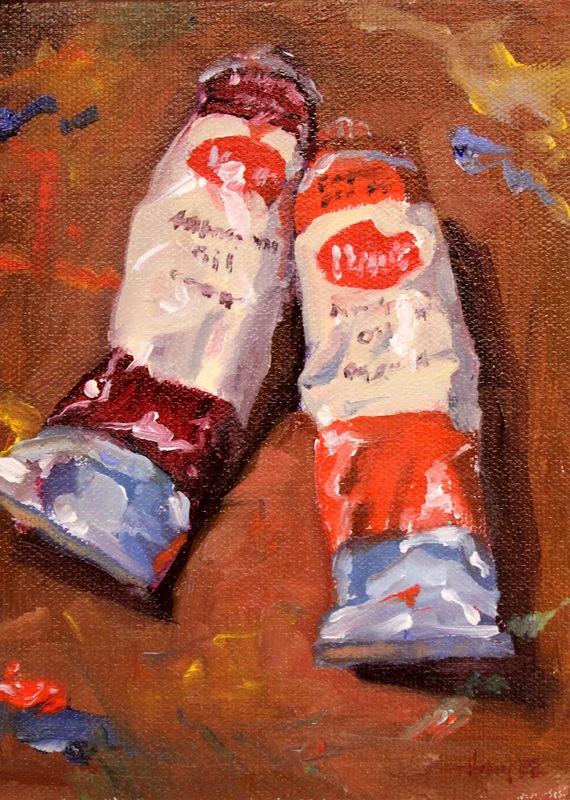 Daily Painting: it’s a great way to motivate yourself and produce sellable work! Each day of this 3-day workshop will have a different focus, in addition to generous time to paint. Day 1: Introduction, materials, working no larger than 5×7 or 6×6; painting a still life from direct observation. Day 2: Scaling and cropping; working off prints vs. working off of a computer screen. Day 3: Marketing: eBay, etsy, DPW, blog, Facebook. Students may work in any color-based medium (not graphite or charcoal). Previous experience in the student’s chosen medium is recommended. Canvas board or stretched canvas suggested for oil and acrylic; paper (for pastel, colored pencil or watercolor) should be larger to allow for a border. Ski can suggest materials. Bring a lunch! You'll also be given access to online reference as part of the class. Remember, oil painting is a simple process but not necessarily an easy one. Nothing worthwhile ever is.